Sarah Blow is a computer science graduate of Manchester University in England. Sarah is now working on bringing DataSift through its alpha testing phase in preparation for wider use. The filtering technology underpinning DataSift allows for highly refined searches to be able to take place across a selection of social networking platforms. Five years ago, in her spare time, Sarah founded Girl Geek Dinners to alleviate the isolation that many women may feel while working in what is still a male dominated tech industry. How did DataSift come to be? “DataSift is pretty much the back end system that powers TweetMeme. We wanted to rebuild the engine that because we knew we could do more with it. Rather than changing TweetMeme, we created this new brand called DataSift. “The types of people we are bringing in are big financial services companies, anyone looking to do marketing and marketing analysis, agencies that are looking after brands and so on. Pretty much anything you can think of where you want to find deeper layers of information. “While it is in alpha we are looking mainly for developers but with the mindset of bringing anyone in who is filtering and creating content. We want to find out what their needs are beyond the basics of what we’ve got there at the moment. “We’ve seen people use it for geo-targeting and geo-mapping content in order to find about particular brands and track them. Also, people use it to find out where their users are based. They can also find the most influential users within their particular market. “For TechCrunch disrupt we demonstrated the capability of DataSift by using publicly available information from a San Francisco 49ers game that was happening that weekend. Data Collection: “We first created a base rule. That was pulling in information from everyone from at Candlestick Park. Anyone who mentioned the name San Francisco 49ers and anyone who mentioned any of the players from the 49ers and the opposing team. Geo-targeting: “Then we decided, that’s good, but it’s not perfect. What we really want to know is who is in the Park that’s really seeing the cool stuff. Can we manage to get some twitpics, for example, from inside the Park from people who were actually there? “The only way you can verify they are really in the Park is if they are actually geo-located in the Park. So we have an option on DataSift to do a single point and set a radius around it. We found the geo-target for Candlestick Park and set a one kilometre radius around it which pretty much covers that area and anyone just outside the stadium. That only one user was returned according to the parameters that were set up is very interesting in itself. It would have been reasonably valid to have guessed far more returns. It is always worthwhile to remember that what one assumes about a situation and what really happens may be two entirely different things. This is why having better tools to be able to really drill down into the data and to refine and define the results is so vitally important. “We are aiming to have a drag and drop interface which we haven’t finished yet. Users who don’t necessarily have a strong technical ability and an understanding of the technicalities of it don’t need to. They shouldn’t need to have to have that level of detail to use the system. The work being done by Sarah and the DataSift team is promising to be a cutting edge development in information retrieval. If you want to help with their alpha testing you can still sign up at DataSift. As we approach the end of year break we thought we would take the opportunity to share with you our greatest hits of 2010. We had to apply a weighting system to account for the fact that a lot of our older posts are still being searched for shared and read. We wanted to be able to describe the work that is going in the development of the Semantic Web in as conversational a manner in terms of style as possible. We thought it would be more easily assimilated by the curious and the interested but who perhaps were either not that technically inclined or unfamiliar with this area of technological development. Lin really saved my bacon the day we did this interview. It was four in the afternoon and all my scheduled interviews for the afternoon had fallen through. On the off-chance I gave her a call and put in a request for an interview and she said, “Sure.” The outcome: A really great interview that required almost no editing. We are looking forward to interviewing her again in the New Year to talk about Drupal 7. Number Three: Who’s “Most Tweeted” In The Irish Twitterverse? How can one explain the popularity of this post? “Vanity is All” Ecclesiastes, perhaps. Blaine gave a terrific talk at BlogTalk 2010 here in Galway. However, I interviewed him a few days later when he was in England and the connection was not the best. Probably the shoutiest interview ever. Hopefully next time we chat it will be in somewhat more genteel circumstances. Probably our find of the year. As I passed by Realsim‘s office late in the evening I kept seeing Eoghan Quigley working away at his computer. Finally, curiosity got the better of me and I knocked on the door and introduced myself. 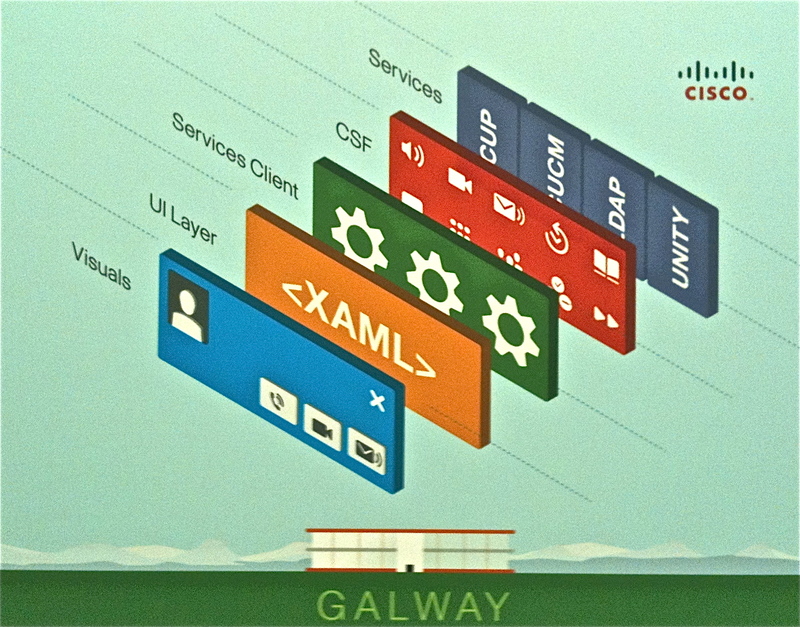 He showed me what he was doing – creating a Virtual 3D Galway. What was even more amazing was to discover the years of solid work put in by Gavin Duffy in painstakingly photographing every street, house and building in the central area of town. Even if you don’t know Galway it is really worth watching the fly-through video. This was probably the most fun assignment of the year. It was just wonderful to see the children’s response to the virtual world technology adapted and developed by Irish company Daynuv. It is really worth watching the video in conjunction with the story. In the text you have the adult, grown up story and in the video you have only the children’s perspective. Two different approaches to the same story but they work together very nicely. NB: The video was shot on an iPhone because I felt the loss in quality was more than made up by removing the distractions that come from having a larger more obtrusive camera. John and his team are doing a remarkable job of creating and cementing the links between Ireland and Silicon Valley. The ITLG conference that took place in Limerick in November was very successful in this respect. It was important to be able to introduce Irish Entrepreneurs to Silicon Valley capital in the form of the visiting VCs. Also, equally important in many ways was the enhanced recognition that ITLG brought for the need to have closer ties between the public sector in the form of research universities and the private sector. The interview conducted by Telepresence with Carlos in New Jersey, USA and myself in Galway, Ireland will probably be as close as I’ll ever get to experiencing the holodeck from Star Trek. We, at Technology Voice, are big fans of 091 Labs in Galway. Every town, no matter how big or small, should have something like it. There is no excuse really. People just have to get together, decide what they are going to do and get on with it. From a coffee table in March, to a fabulous location in June, to being just about sustainable from subscriptions in September – the creation of this hackerspace has to be one of the year’s triumphs. We would like to thank Bernardo Huberman from HP Labs for really taking the time to explain the research on Twitter that is being done in Palo Alto. From one interview we ended up with three different articles, this being the first in the series. Nobody really knows what the future will hold but it is certain that the Arduino and uses it will be put to will play an ever-increasing role. It allows those with the minimum of technical ability to make really cool ideas possible. It breaks down a very important barrier between having an idea and being able to express it as best as one can. We are not going to disappear over the holiday period. We will still be posting articles and blogs, just not on a consistent daily basis. Full service should resume very shortly into the New Year. 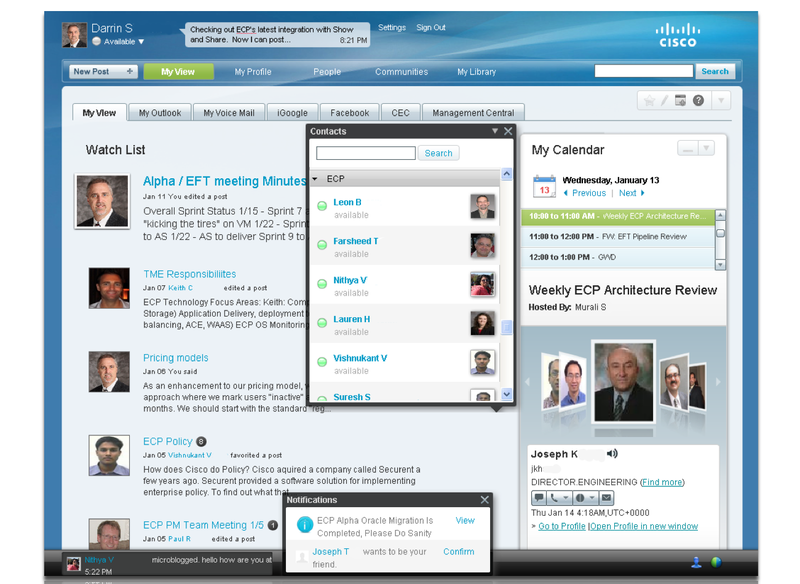 Quad is Cisco’s enterprise collaboration platform. It is a system where the social tools that are widely used in Facebook and Twitter and other social networks such as; newsfeeds, groups, relationships with friends and followers, contacts and the ability to be able to see activities that other people in our social network are doing, have been adapted to meet the demands of the business world. The emphasis here, however, is more on enterprise than social network. The social networking capability that we are used to having with Facebook or Twitter has been enabled for integration with the enterprise systems that nearly all businesses have, and which already deal with the demands of CRM systems, document management and numerous other tasks. Cisco developed Quad because they found that there was a need to provide integration between social networking and the requirement to maintain commercial security and fulfill various legal compliances. It was time to bring social media into the grown-up world. Quad transforms the idea of social network systems from being a fun tool to stay in touch with family and friends to a cutting edge business tool to aid communication and productivity. 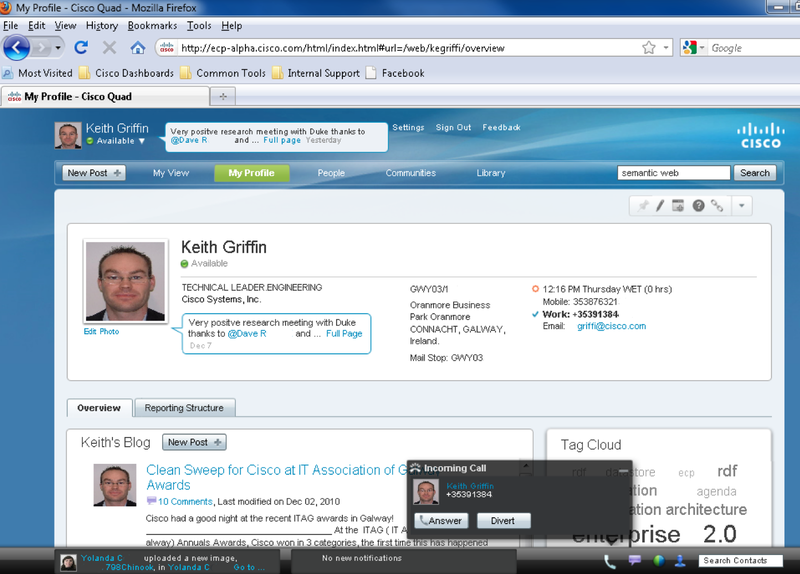 Keith Griffin, Lead Architect of the Enterprise Collaboration Platform at Cisco, is based in Galway, Ireland. The Cisco site there is heavily involved in the field of unified communications: the combining of video, audio, instant messaging, online meetings and other collaborative solutions. Using their knowledge and experience, the team in Galway were able to make a large contribution to the work being done on the core development of Quad taking place in San Jose, California. As Keith explains, “What we are doing here is adding horizontal social interconnectivity to a vertical directory structure. You can see in my profile (pictured above and below) that I have got directory information here. You can see my latest microblog about a research meeting that took place the night before last and my recent blogs and tags which I share with everyone else. If people want to go to this page, they can see all this. It is not just a static web page. It’s a full Web 2.0 environment. “In the directory, I can see the reporting line. You can see all the people I am following in the directory. If I hover over anybody on the list here, I can see for example that so and so is not following, but this person is. That’s the difference between the ‘following’ model and the ‘friend’ model. If both people follow each other they are friends. “When we did this integration (at one point there was in excess of a hundred thousand people participating,) the social activity was immense. As soon as people could see where they were in the directory and where they related to other people, they started sending friend requests and following requests. As it was felt that people have a little more to say in the business world, Quad uses 400 characters in its microposts. There is also the ability to have a ‘watch list’ where a separate filter of the main feed’s social activities can be displayed. This can allow the watch list to be used as a de facto to-do list. It gives the user the ability to respond to the news, requests and information that is most pertinent and relevant to them. How easy does Quad make it to access the vast and varied amount of resources and expertise that a company like Cisco has? “A big trend that we borrowed from the Web is the concept of social relevance. If I am an expert on something and I offer an opinion or write a blog, that tends to be given a pretty heavy weighting. If someone offers an opinion and perhaps they don’t have a background in a certain area, then it tends to stay as an opinion with a lesser weighting. “In a social network, because you get to see all the activities, you can see who is active in any particular area. Over time, if people aren’t getting the answers that they expect from somebody who has been represented with having those skills, then in a system like this you would see less social activity associated with those topics for those people. So their relevance and ranking overall can drop. “What we have done here is modeled our entire system on people, communities and information. Those are the three dimensions of the system. “If I search for something like the Semantic Web, which is something we research quite deeply with the people at DERI, it will bring us back a three-dimensional search result. We’re not doing anything special with search, but what we are doing is interpreting the results in the context of social network rather than in the context of a keyword search on a number of documents. A natural by product of social activity is the creation of communities. How are they handled? “When people have a certain interest and that’s an ongoing interest, whether it is a project or it could be a sales campaign or a feature that they are working on, they can set up a community. The community can have a number of owners and contributors. We can have wikis and other Web 2.0 tools of the sort which you would expect, as everything running here is completely within a browser environment. While Cisco and companies like Cisco have been using instant messaging technology in preference to emails and telephone conversations for a number of years, particularly in the areas of engineering and software development, there is a major benefit to be had in harnessing one of the real powers of social media – persistence. Persistence means that a message is kept alive and relevant because it can be seen in the context of its usefulness and relevance by the people engaged with that conversation. Important ideas don’t get lost in emails or are forgotten to be passed on after isolated conversations on telephones. As it is easier to see the relationship between different messages and their place in the context of activity, it makes it easier to obtain a better perspective on what has already happened, and as a consequence be more appropriately placed to make better decisions about what to do next. How does Quad help with the issue of time zones in a company as large as Cisco? “I work an awful lot with San Jose and I am not sure if I could get through my day without Quad. As soon as I come in, I get a snapshot of all my colleagues and all the projects and technologies they are working on. A tool or a piece of software will only go so far. There has to be a desire for a company to collaborate and want to work together. There is an organisational and business process that needs to happen with this technology as well. Software, as ever, is just a facilitator. It is just something to make things happen. But perhaps when people look at the powerful possibilities that technologies like Quad can offer, it can inspire them to drive the sort of changes needed to enable organisations to work more collaboratively and, hopefully, make things better for everyone. In the article ”Blaine Cook Introduces Us To Webfinger” Blaine suggested that, “Facebook is like a wedding from hell. Because it’s everybody you know and everybody you’ve ever met is just kind of hanging out. And if you were ever in a physical social space that would be like Facebook, it would be the most horrific experience you’ve ever had.” Despite having lists and groups the undifferentiated experience of using Facebook is a definite drawback for many users, myself included. Most people’s lives are made up of involvements in many social groupings. Home, social, and work are probably the three main categories. The relationships within each of these spaces have their own associated considerations, responsibilities and obligations. While there may be a certain amount of overlap there is a distinct tendency to compartmentalize our activities in these different spaces. Having everybody you know lumped together on a social network like Facebook is not reflected in how we conduct our lives in the real world. However much we make distinctions between the various social sets in our own lives it is still relevant and important to be able to measure how we are all socially connected to the world of people, groups and organisations that are around us and how in turn they are related to us. In Stanley Milgram’s Small World Experiment we are shown that, for Americans anyway, only six degrees of separation – six other human contacts – separate us from anyone else. Trying to get a handle on those connections is where Social Network Analysis (SNA) comes in. Originally, a sociological theory it is now a field of practical study with its own tools and techniques to describe our relationships, ties and interdependencies. In addition to its own descriptive terms SNA relies on heavily on graph theory. This is particularly important because once we get beyond our very immediate personal networks it becomes harder and harder to describe our interrelationships in useful ways. Families can use images of family trees to show how siblings, aunts, cousins and so on are related to each other. Businesses use organizational charts to show the deployment of responsibilities. However, beyond these tight knit internal representations can get dense very quickly. Strength of ties: Not all ties are equal. Some are strong and some weak but weak ties can also have significant influence. A comment from a passing stranger or an unfamiliar speaker at a conference for instance can have effects disproportionate to our familiarity with that person. Lots of connections in your networks doesn’t necessarily reflect influence: Bernardo Huberman from HP Labs has already shown this in his work on Twitter, ”How To Influence On Twitter: Research Results From New Algorithm Give Guidance.” What matters is where you are along the line between being at the centre of formed groups and cliques and being available to link to the otherwise connected. Being the bridge between a fully networked group and those outside that group is where the power of influence lies. Vulnerability: Some networks can have a lot of connections to a single point. If that person, group or organisation is no longer available for being connected to it can result in the possible fragmentation and dispersal of the entire network. An immediate application of SNA is in epidemiology. Being able to model and predict how diseases like HIV/Aids spread is vital for public health planning. Social networking sites can be an absolute gold mine for being able to monitor, measure and quantify people’s relationships. The information derived from the applications of SNA techniques allows the social network operators to provide a better service and make the experience of the site more meaningful. It also provides useful data that can be used for marketing products and other commercial activities. SNA applies to either persons or groups and the points where relationships connect are called nodes. In this article, ”Social Network Analysis, a Brief Introduction”, it is pointed out by Valdis Krebs that while all the action may seem to be occurring with those at the centre of a network there are real possibilities for change that come from those at the periphery. Being less likely to be involved in the comfort zone of homogenous communication in a group other than their own, they can, by their position towards the edge of a group, create the opportunity to bridge one social network with another. These bridging nodes, whether they are individuals, groups, companies and so on are where the potential for the rapid expansions of networks lies. Social Networks Analysis shows us that our connections are always dynamic in nature and alter in complexion according to how close to the centre or periphery we are in relation to others in our networks. As social networks influence our lives more and more it will become more and more vital to be able to accurately measure and observe as precisely as possible what is going in that environment. On a recent visit to a corporate facility in Galway I couldn’t help but notice a vast amount of post-its dispersed across the ceiling to floor whiteboards in certain meeting rooms. It was explained to me that the reason for all these notes being stuck up was because of their adoption of the Agile Modeling system for product development. Instead of just having one huge playbook outlining the stages of product development from inception to completion each stage and step of the process is labeled with a post-it note and stuck to the wall. One traditional approach to product development is to define the outcome and fill in the interim steps by either working backwards from the goal or writing out a predicted trajectory or critical path for the fulfilment of the project. The disadvantage of the playbook approach is that many projects have quite a long development cycle. A year to two years is not unusual. What seemed like a solid, logical, workable plan at the outset can be rendered redundant and meaningless by all sorts of unpredictable factors. Changes in technology and changes in the market are just two such factors that could give pause for a rethink. In the Agile Modeling system once the steps, stages and associated notes are placed the wall they can be shuffled around to conform to the criteria of the project and the availability of resources over a given time period. For instance, instead of assigning a hundred people for six months, a team of three can be used to processes one step whereas a team of ten may be needed for the next step. The idea of ‘fail fast’ is introduced to the product development cycle. Unpredictable factors can mean that the project has to be abandoned or repurposed. Rapid adaptation to these factors can be done quickly and reduce costs in wasteful production effort. Only the expertise that is needed is engaged at any given stage. This frees staff to work on other projects when their contributions are not immediately needed. Working leaner means a great many costs be reduced. Workspaces can be tailored to the needs at hand. Decisions can be taken quicker. When all the appropriate effort is focused on a given stage it is needless to wait for a review meeting further down the timeline. New ideas can be assimilated very quickly and bad ideas rejected equally quickly as there is no playbook legacy effect. The idea is that plans made for six months down the line shouldn’t unduly affect decisions based on new information in the present. This last point is particularly key. Without necessarily sacrificing the aims of a given project it is possible to very quickly adapt to new conditions and new thinking and incorporate them into the production development process. There is a radical game-changing aspect as to the demands that are placed on the company or corporation that takes the Agile Modeling idea on board. Not only do the engineers and product people have to be ready to make intelligent adaptations of their plans in relation to changing circumstances but everybody working inside the business system has to comply as well. Marketing departments have to be flexible in what the idea of the product is about. Accounting systems have to be responsive to changes in agreed procurement schedules. Delivery and distributions systems, both mechanical and electronic, need to be aware of unexpected fluctuations in demand on the systems. Management has to trust, since this is an impossible scenario to micromanage, that for a good part of the process that the right people find themselves in the right place dictated by the demands of the current stage of product development. This means not only does the product itself have agility the company that surrounds it must be agile and flexible as well to cope with the ever changing flux of requirements to help a product succeed. For Agile Modeling to really work it entails the movement away from the traditional idea of the centralization of the management of resources in most companies. Company and corporate structures will find themselves adjusting to accommodate more flexible working practices and be able to have a more agile response to the market conditions they operate in. Businesses will always need a hierarchical command and control structure but, with new technologies such as social media tools for communication and systems like agile modeling for planning, the smarter companies will find ways to make the internal changes to take advantage of these ideas. Siobhan King-Hughes began her career working for Blue Chip international organizations in programming and development at Microsoft. From there she went on to have senior technical management positions at Frame Technology (now part of Adobe Systems.) After that she was at Lotus Development (now part of IBM) and then Oracle. Latterly she was Head of International Products at AOL. At present she is the owner and CEO of Sensormind, a company she started to provide the technology that enables independent living to be maintained safely without any kind of obtrusive monitoring. “I am interested in the application of technology and in automation and I was really interested in taking technology into a space where it wasn’t being widely used or wasn’t being used fully. “When I came up with the idea for providing technology for independent living there wasn’t really very much happening in that space. When I went out to have a look at alternative products there wasn’t anything out there. “I thought it would be quite simple to implement. As I got into it I realized there were huge complexities in what we were trying to do. Because, really what I was trying to do was behavioural analysis on the different behaviour patterns that a person has in their home. What’s normal, what’s not normal and then create alerts on the basis of what’s abnormal. Sifting those patterns from noise is quite a complex task. “We were working on that for at least a year. Every entrepreneur says it always takes twice as long as you would think and this project definitely did. “A number of different things happened along the journey as I was working on the core Sensormind product. We built a whole platform and we were doing a behavioural pattern analysis when we got talking to some people in the care industry and found that private home care managers were really struggling with managing their staff. Sensormind Care Manager: Enables private home care organizations to manage their staff. They are delivering thousands of hours of care each week and they need to be sure that the people they are sending to a particular job actually arrive and make the visit on time. Sensormind Personal Alarm: A social alarm for alerting others if the wearer needs assistance. Sensormind Independent Living: A monitoring system that alerts if unusual activity is detected. It is based on an algorithm derived from a considerable amount of behavioural analysis. How does Sensormind distinguish between normal and abnormal behaviour? “It’s been a really interesting journey for us. We learned not to make assumptions about how people behave. Or to assume that everyone is going to behave in the same way. Or, to assume that people are always going to do the expected. “There are people who stay up very late and get up late and people who get up very early and go to bed early. People have different visitor patterns. People who visit the home, friends, neighbours, family, that all has to be taken into account. If it’s a warm day and some leaves the doors open to let some air in then that has to be taken into account as well. “So, there’s been a massive amount of ordinary behavioural data that we didn’t start off thinking about but we needed to think about as we went along and it is all built into our algorithm. Clearly Sensormind has the opportunity to lead in the inter-connected health space. Where do you see things going from here? “A lot more quality assurance than that needs to happen. There has to be a longer development cycle because in terms of safety and trust it has to be so much more reliable than a fun application for your iPhone. “That means there has to be a lot more effort and cost put into the R&D cycle then for some other products. This makes it difficult for small startups to get traction in this space. There is a lot of work to do to get to a particular standard of reliability. Therefore, it’s really important for Ireland to support small indigenous startups that have good ideas to and help them get to a level where they can create jobs and start to bring some attention to this country in a positive way on the innovation side.